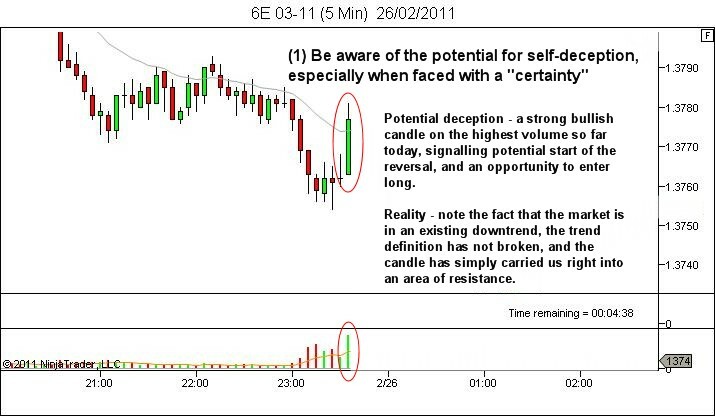 The end result of the article was an understanding that the basis for trading in accordance with this model, is one of recognising deception in the market. 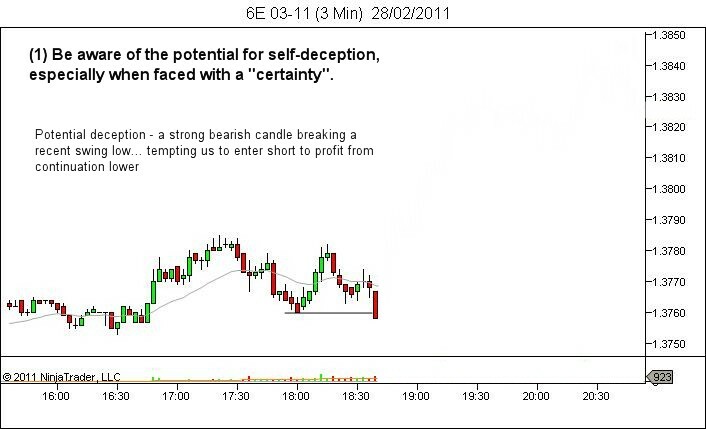 Self deception applies in all timeframes, at both a macro and micro level. 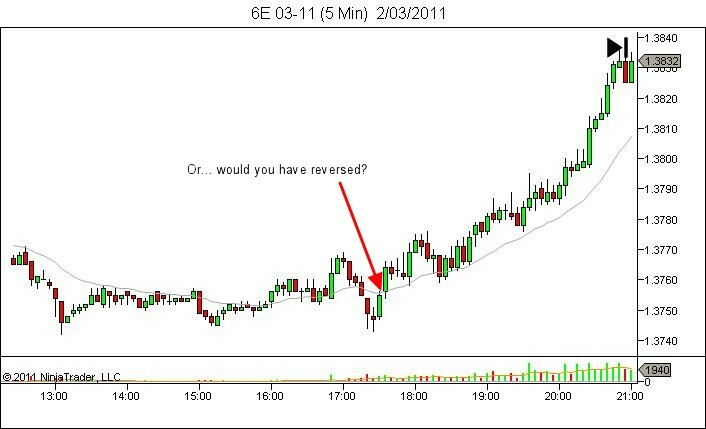 Let’s look at some chart examples though, from short timeframe Euro charts. (1) Be aware of the potential for self-deception, especially when faced with a “certainty”. Where do we find self-deception? Against an existing strong trend, with price not yet having broken your trend definition and shown price acceptance in the new direction. Rallying right into an area of resistance, or declining right into an area of support. Any price move which, upon examining the higher timeframe, will simply look to the higher timeframe participants as an opportunity to enter against your planned position. 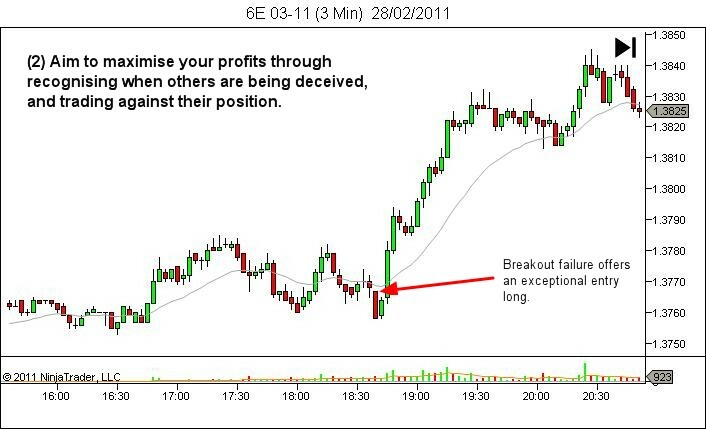 In particular, lower timeframe breakouts against higher timeframe orderflow. 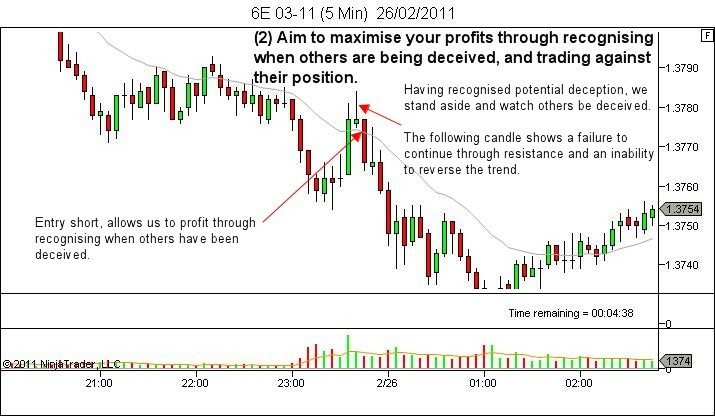 (2) Aim to maximise your profits through recognising when others are being deceived, and trading against their position. Having recognised potential deception, stand aside and wait. 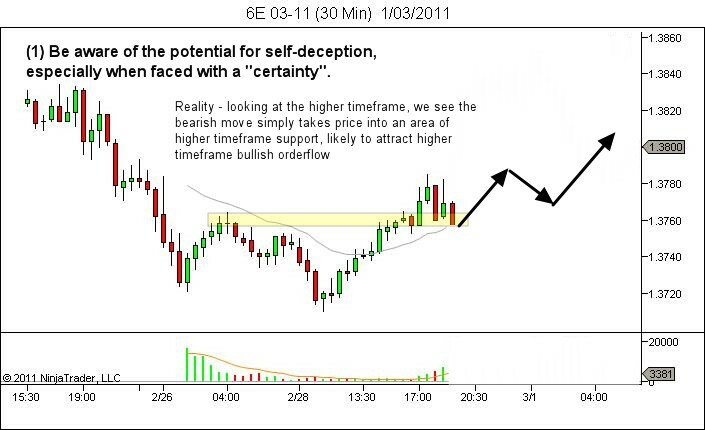 Failure of the “certain” move will provide an opportunity against the direction of deception. (3) Aim to minimise your losses through recognising when you have been caught in a trap, allowing prompt action to exit before suffering catastrophic damage. Sometimes though, the trapper becomes trapped. 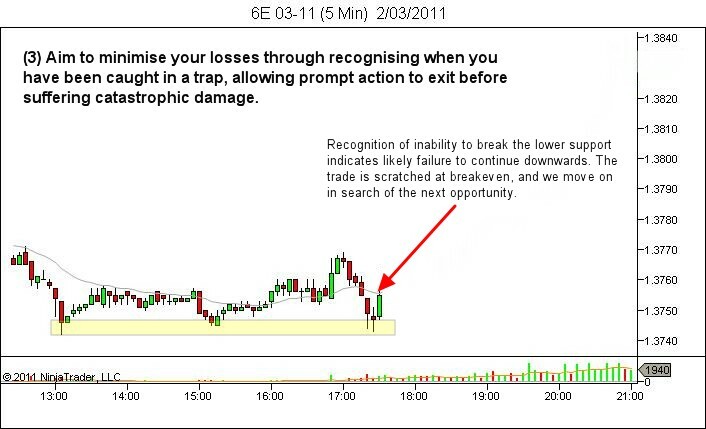 Being alert for this situation, allows us to scratch a trade, ideally prior to price taking out our stops. These principles are not the only way to profit from market action. They’re just a way of implementing the deception model, allowing for greater awareness of market opportunity and risk than is available to the newbie who just chases the “certain” trades. It’s not the way I personally view the markets (see YTC PAT), although it is closely related to the trapped trader concept that is an integral part of my trading. If you like the concept, trial it. Note those times when your emotions are just busting to get you to take action… and examine the price action more closely… it could well be a trap. 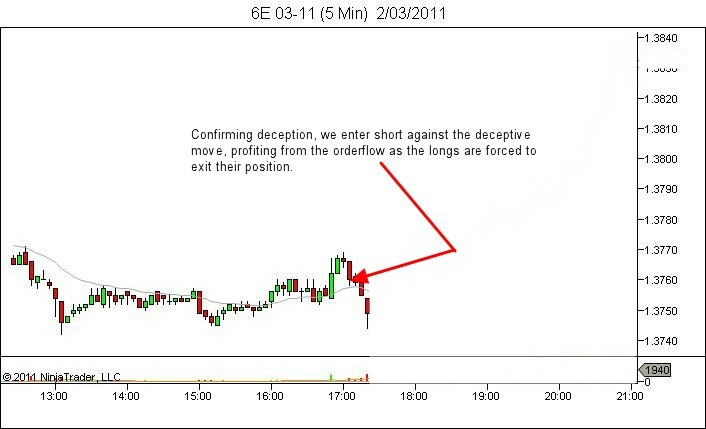 This different model for viewing price action may be just the change you need to take your trading to the next level.